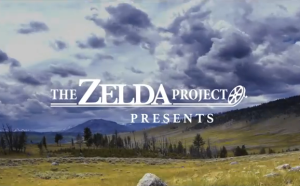 An amazing new fan-made live action Zelda teaser trailer produced by The Zelda Project in collaboration with Player Piano was recently published on YouTube. The trailer portrays Ocarina of Time era Link riding on Epona in an open field on his way to confront Ganondorf in the stormy castle on the horizon. The teaser is only a little over a minute long, but it is a glimpse of things to come before the full trailer arrives. Jump inside to check it out for yourself! The Zelda Project is a Los Angeles based group of Zelda fans who seek to bring to life the characters, settings, and overall atmosphere of Ocarina of Time through photography and film. This is a teaser for The Final Battle, a short fan film being produced as a collaboration between the Zelda Project and Player Piano. You can read more about the Project and how to get involved on its website. When The Zelda Project was first thought up many years ago, we had wanted to make a fake movie trailer as a climax to our photography project. However, we were too slow, and the April Fool’s IGN trailer came out for the world to see. For a while, we held on to the idea, but as time went on we realized that we really wanted to do something fun, fresh, and full of entertainment for the fans! We would recreate one of the most climactic scenes in Zelda gaming history as a short film: The final boss battle of Ocarina of Time. This film will feature a talented professional cast, elaborately designed costumes based on the official artwork (toughened up for realism), special effects makeup/prosthetics, practical effects, practical stunts, and full visual effects CGI. I have seen quite a few fan made Zelda films, but this one already looks to be one of the best– even if we’ve only seen a minute or so. It does a very good job of almost instantly setting the stage for the epic final showdown. Did you enjoy the trailer? Are you excited to see the finished film? Do you think it would be wise for Netflix to consult those involved with The Zelda Project when approaching its series? Speak your mind in the comments!